Our Top 10 All Time Kids Books for Under 5's to inspire your Christmas list! Yep Christmas will be there before you know it! There are 50 days before Christmas and I'm determined to beat this Christmas and be somewhat organised! I'm not into buying endless gifts for kids, I think kids these days (mine included) have endless toys that they never seem to play with and prefer to dismantle the couch for entertainment instead! My daughter and now my son love their books so although it may sound boring for some, books are always on my hit list! Picking books which they will love and enjoy over and over again is tricky business which is why I thought it would be helpful to make a top 10 list of best seller kids books that we love and pick up over and over again! Can you find your favourite(s) in the list? Below are affiliate links for your convenience. Cats sit on mats, hares sit on chairs, mules sit on stools and gofers sit on sofas, but Frog does not want to sit on a log! Jam-packed with animals and silliness, this original rhyming story will have you and your child laughing along every page! We received this book from a friend as a Christmas present last year and have read it every since! To BUY this book via Book Depository, head to this link. "Oink!" said the cats ...With all the MOOing and HISSing and BAAAing and CLUCKing, the farmyard is full of noise! We love this cute book and the glitter version which invites you to find the glittery ladybird on every page is a cute bonus! You can't go wrong with Julia Donaldson books! A little boy finds out that he must bring a hat to attend a friend’s party and that’s the easiest requirement! What he finds out next is truly comical. This great book will have your little ones laughing at the funny options that this book comes up with! Poor Duncan just wants to colour in. But when he opens his box of crayons, he only finds letter all saying the same thing: we quit! Blue needs a break from colouring in all that water, pink just wants to be used, green is happy, orange and yellow are no longer speaking to each other and so on! What is Duncan to do. This number one NY Times best seller has an imaginative story that will have children laughing and playing with their crayons in a whole new way. We love the fun and colourful illustrations with its fun and clever storyline. You won’t want to put the book down! 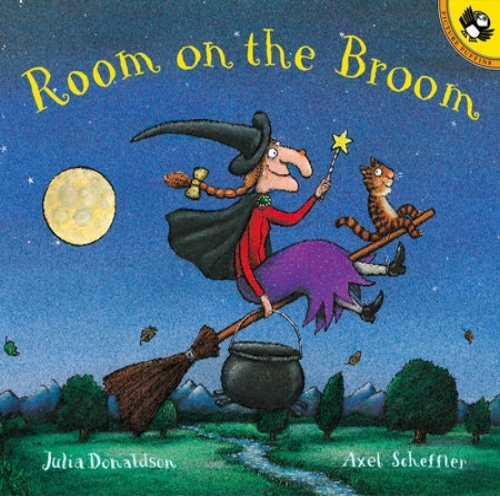 The witch and her cat are happily flying on a broomstick when the wind picks up and blow the witch’s hat, then her bow and her wand! Luckily three helpful animals find the missing items and want a ride on the broomstick. This magical story turned best seller, theatre production and movie will have the little ones enjoy the fun of rhymes along with beautiful illustrations. It’s only a favourite in our house and we love gifting the story too! A little caterpillar with eyes bigger than its belly eats his way through a week’s worth of food, an indulgent Saturday, healthy Sunday to finish up as something magical! This Eric Clare best seller is a true classic that everyone should have at home. 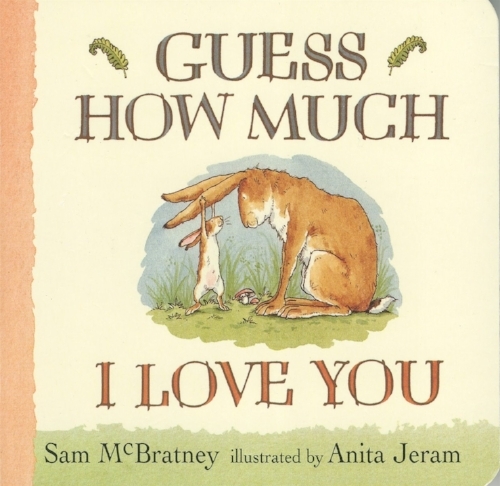 We love the colourful collage illustrations and the deceptively simple but hopeful story of this timeless book. Grandma Poss makes bush magic. And her best trick of all is making Hush invisible for Hush to be safe from snakes. But one day Hush wants to be visible again but Grandma Poss can’t find the right magic. This classic Aussie story will have the two possums go on a culinary tour of Australian cities to find the magic that will make Hush visible again. When a bus driver takes a break, he gives the reader just one instruction ‘Don’t let the pigeon drive the bus!” but boy, that pigeon tries every trick in the book to get in that driving seat; he whines, wheedles, fibs and flatters. This hilarious picture book perfectly captures a toddler’s temper tantrum through speech bubbles and cute illustrations. 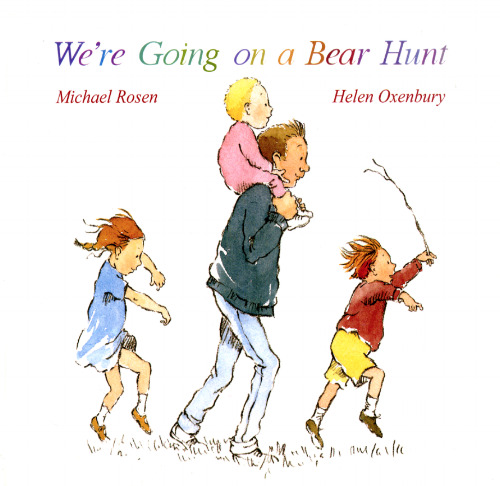 Follow and join a family’s excitement as they wade through the grass, splash through the river and squelch through the mud in search of a bear with a surprise awaiting them in the cave on the other side of the dark forest! Brave hunters and bear lovers will love this catchy book and chant aloud to this great little story! Little Nutbrown Hare shows his daddy how much he loves him: as wide as he can reach and as far as he can hop. But he can reach farther and hop higher, loves him right up to the moon and more! This beautiful story will have you and your little one snuggle and measure how much you love each other for years to come! To read our latest '10 Picture Books You'll love to Gift this Christmas' post - head here. This post is not sponsored in any way. As always, our opinions and comments are our own and we only endorse businesses and products we believe in. This post does however contain affiliate links to Book Depository. You don’t pay any extra however we earn a small commission to help pay for website hosting costs to help us continue providing parents with fun event and product ideas. Read more in my Disclosure Policy here.